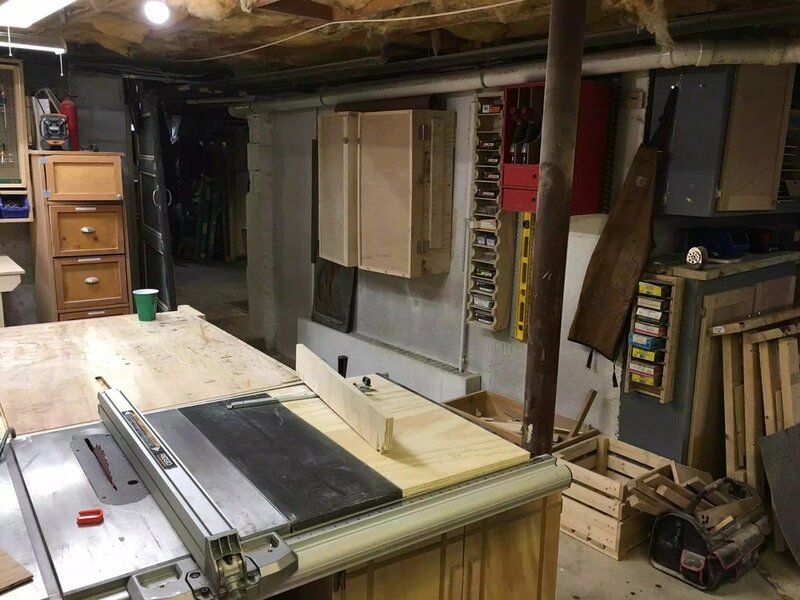 The shop floor plan is about 25’ sq. but it’s in a L SHAPE layout as you can see from the Sketch-up images on that page. 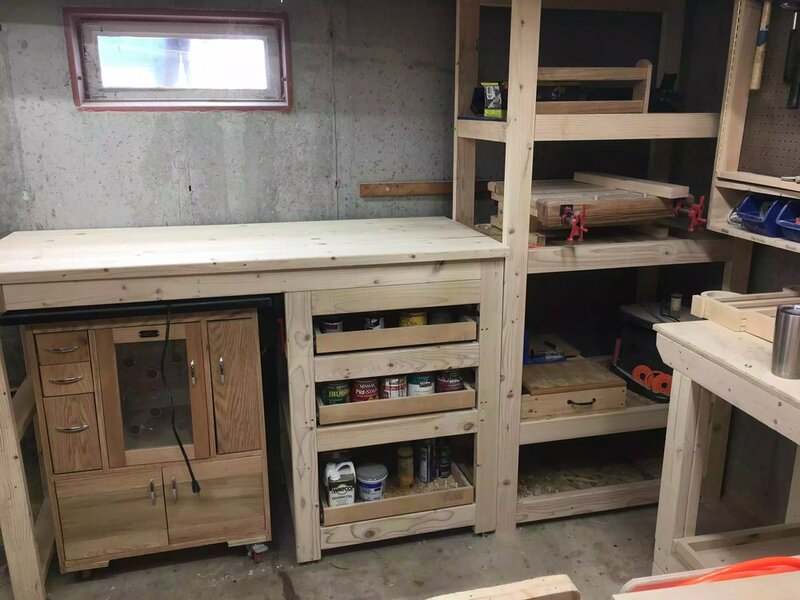 I decided to build most of the workshop on Sketch-up for future projects such as updating the cabinetry and floor covering to something a little more modern but I’m waiting on the lottery to help out. 3. The floor has no covering it’s just a concrete subfloor that occasionally has water issues, although I do have a sump pump that adequately deals with the issue..
4. 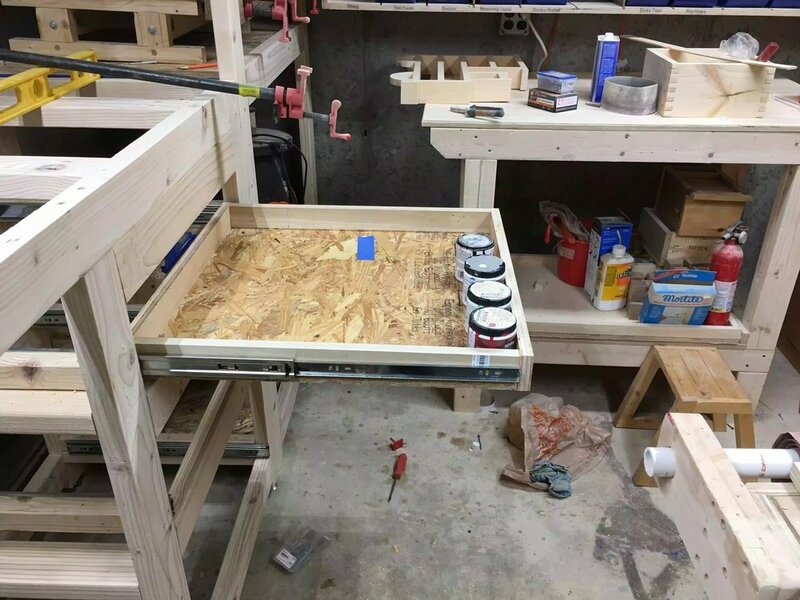 The walls are solid concrete so wall mounting a lot of heavy cabinetry is a major hassle, I’m contemplating using a cleat system and bolting wood to the concrete walls and just securing things to them.